If you decide to use the materials, have any comments or suggestions, please let us know in the comments section. We’d really appreciate your feedback. This lesson plan was adapted from Module 2 of a 4-level English textbook developed by Anes Mohamed and published back in 2012. The textbook was inspired by the problem-posing approach formulated by Paulo Freire. You can download the full Module in pdf here. The materials are suitable for students between Intermediate and Advanced levels. Track 2A can be found here. Listening 2B can be found here. Anes Mohamed holds a PhD as well as an MA in Teaching English as a Foreign Language. 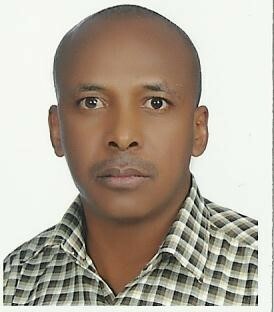 He has been engaged in teaching English since 2002 in different countries. He is currently an assistant professor at Kansai Gaidai University in Japan. Apart from research publications, He has developed and published a 4-level English Textbook. He comes at language teaching from critical perspectives. He can be reached via email here. You can also connect with Anes Mohamed on Linkedin here. His previous post on TEA ‘Non-academic edge’ discussed the problem of racial discrimination in ELT. Even though I am a native speaker of English, it’s frustrating to hear students putting down teachers who aren’t. A useful lesson plan for raising this issue with students. WOW. That lesson…..totally blows my mind! Thank you. Thanks. Great you like it 🙂 let us know if you use it with your students. Would be great to hear what they thought. Could you please activate the links to listening ? also- email contact to Anes Mohamed? Great lesson for teacher training! Thanks! Thanks for pointing this out. I’ve updated the links. Please let me know if they work OK.